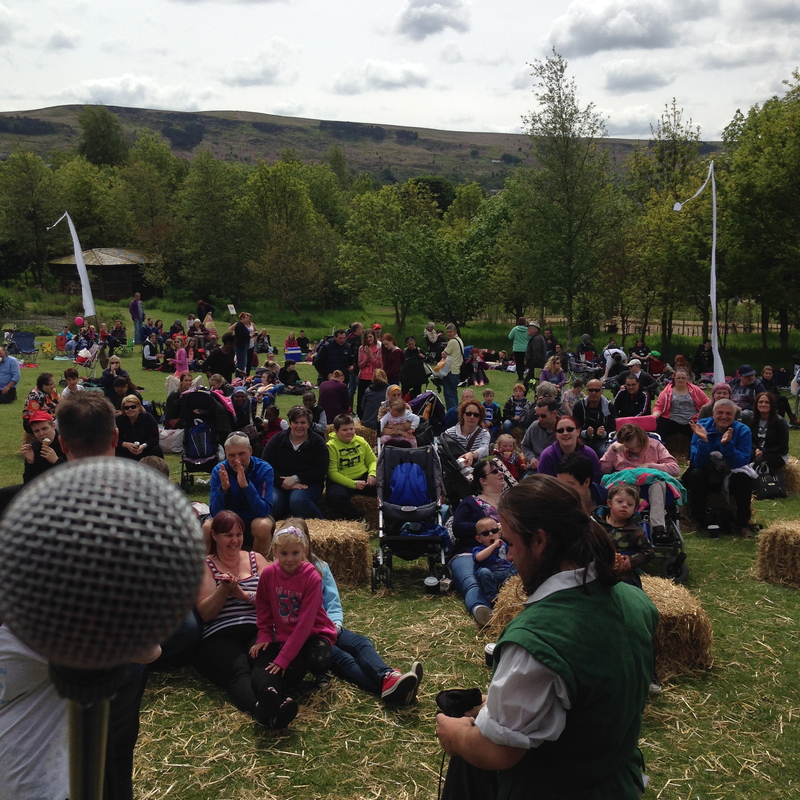 We are really pleased to announce that we will be performing at this year’s Otley Food and Drink Festival in Otley Market Square from 1pm this Sunday – 17th July. Please pop by and say ALOHA! 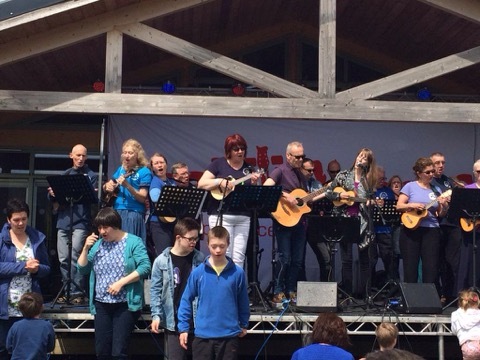 We’ll be performing some upbeat songs guaranteed to get you singing along – but we’re only on for an hour so grab yourself some lovely food and come and watch us! 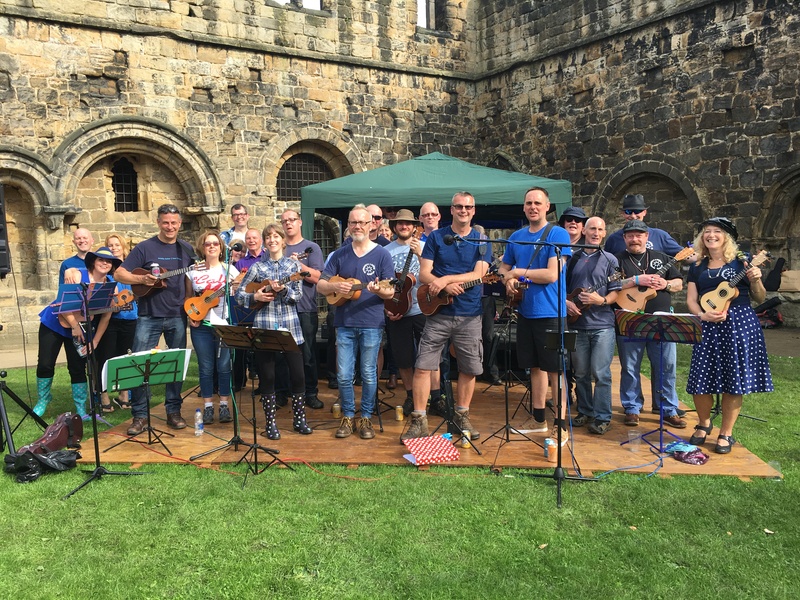 I’d also like to say a HUGE thanks to everyone who came to play and support us at the Kirkstall Festival this year – we managed to dodge the torrential downpours and had an excellent day! 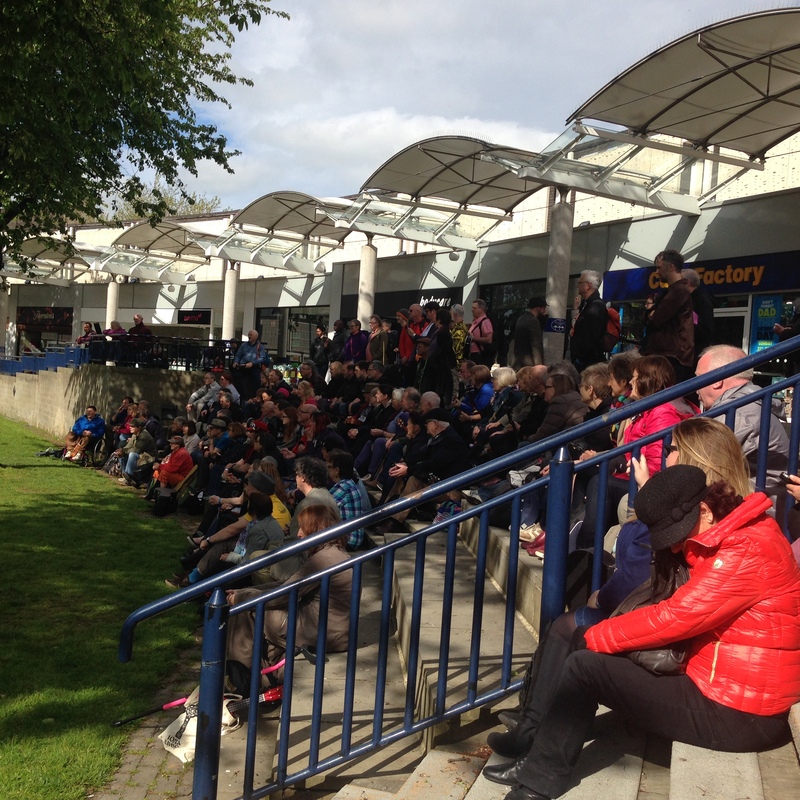 Thanks to Alan and the Kirkstall Festival team for having us – we hope to see you again next year! 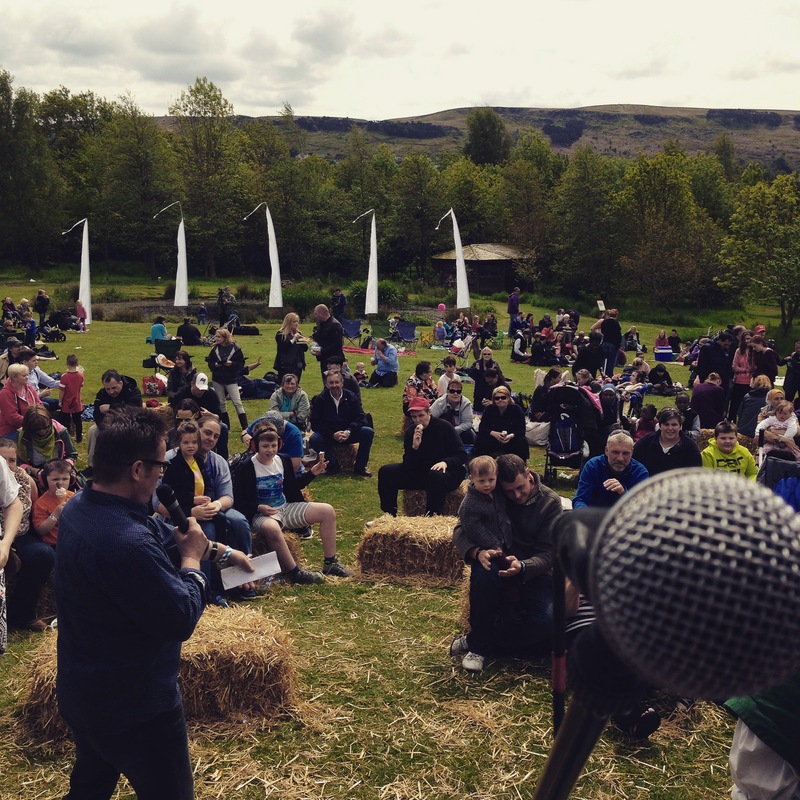 Tagged as community, gigs, Kirkstall Festival, OTLEY! Our final performances of 2015! Hope you will be able to join us for our final gigs of the year! 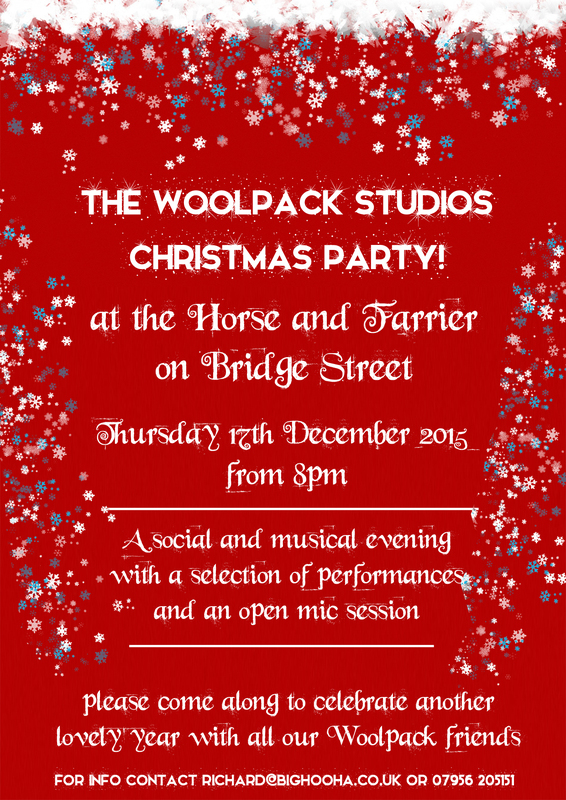 We’ll be at The Horse and Farrier from 8pm for an informal evening of music and fun with our Woolpack friends. We’re hoping Otley A Cappella Choir will let us play with them ! 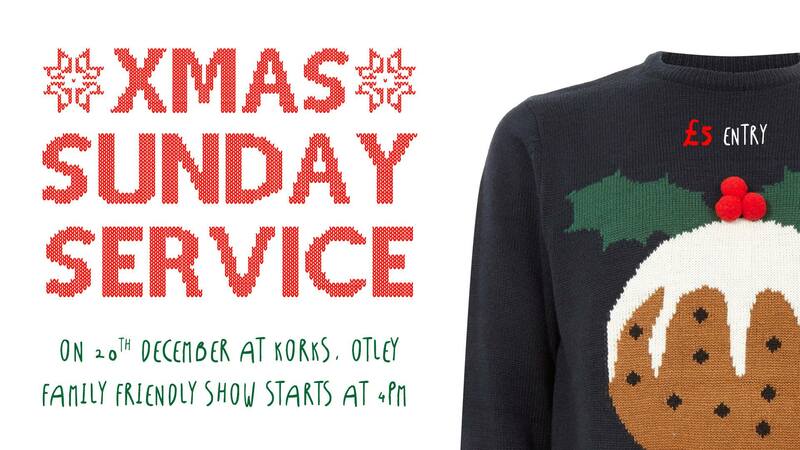 We’re only playing 3 songs at this years SUNDAY SERVICE at KORKS – but it will be a great evening of music (4pm – 11pm) with loads of great acts. Money raised (£5 in) will go towards Otley Food Bank. Please bring an item of food with you! 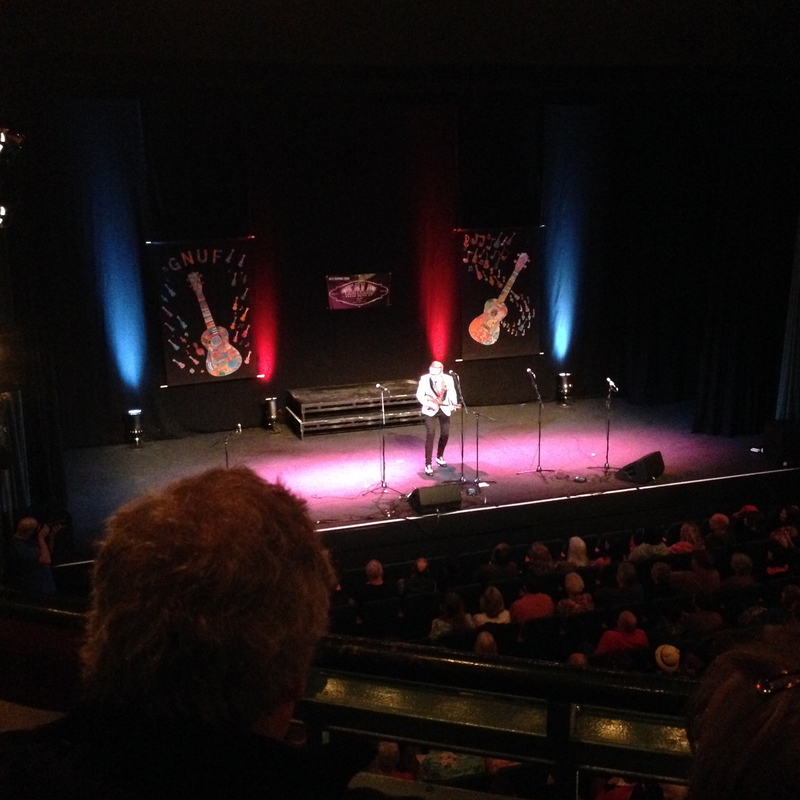 SEE YOU AGAIN 11th JANUARY 2016 from 7pm FOR NEW SONGS AND A LOT OF UKULELE FUN! 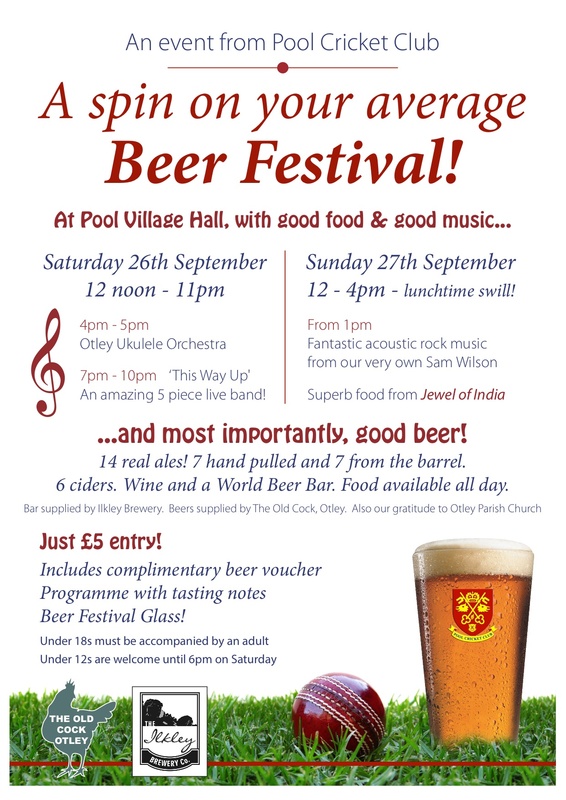 Another Ukulele Weekend fast approaches! 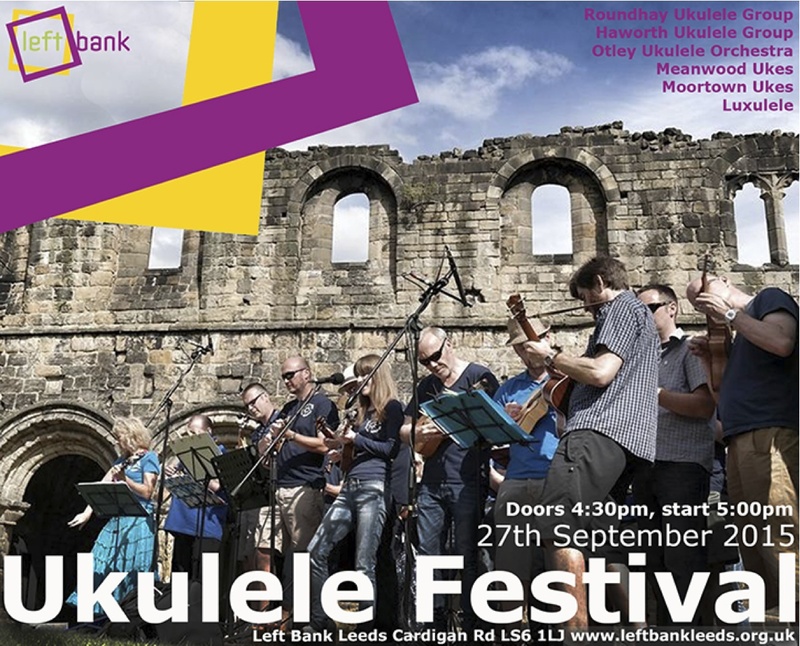 Tagged as community, gigs, Leeds Ukulele Festival, otley folk festival, OTLEY! We’re very excited about the up and coming bank holiday weekend and the TOUR DE YORKSHIRE! 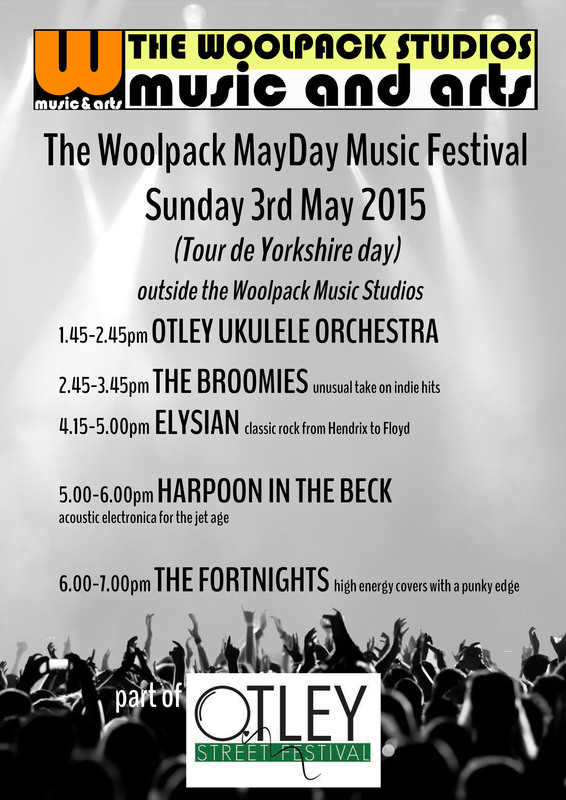 Here at OUO HQ we will be hosting an afternoon of live music – and we’re kicking it off in style! There will be a break for you to see the bikes fly past! 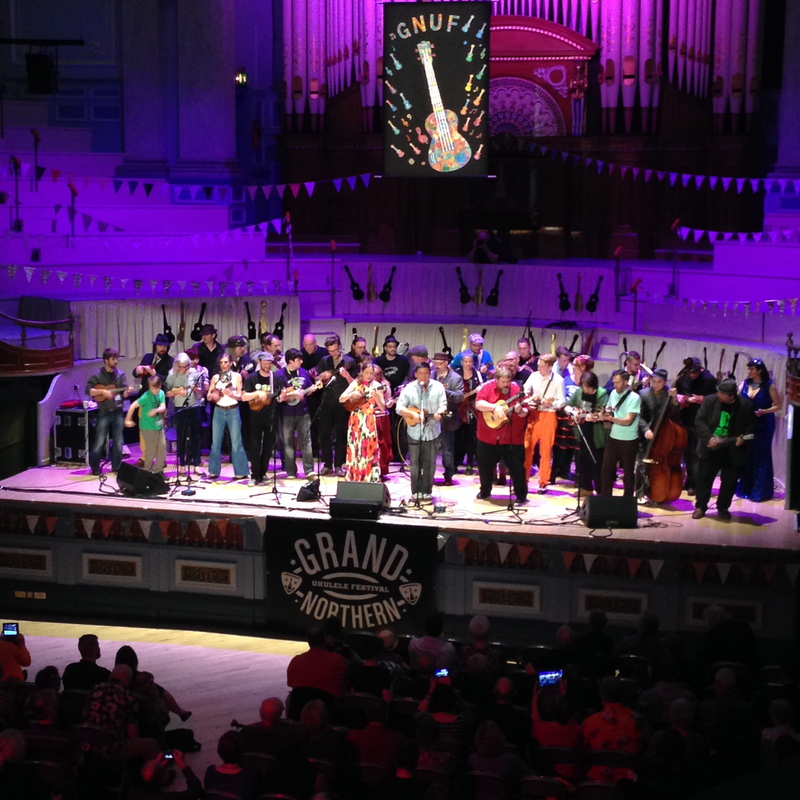 We’ve always got lots to look forward to in Ukulele World! Just so you can get your diaries in order… I have put together the up and coming gigs so that players plan which gigs they’d like to do and so that supporters can come and see us!!! More details will be on here and Facebook nearer the time – although you can always email me jen@bighooha.co.uk if you’s like more info.